As the NHL Heritage Classic between the Winnipeg Jets and Calgary Flames moves closer, select presale tickets now on sale are giving a better look at what tickets to the Oct 26 contest will cost. Ticket prices depend on the section and area of the arena. Presale tickets in the upper bowl and seats around the edges of the stadium will cost between $145 and around $200. For seats a bit closer to the action in the middle bowl, prices hover between $200 and goes up to a ceiling of $294.50. The lower bowl, closest to the ice surface, has tickets ranging in price from just under $300 and $400. Some other resale tickets available command higher prices in different areas throughout the arena. 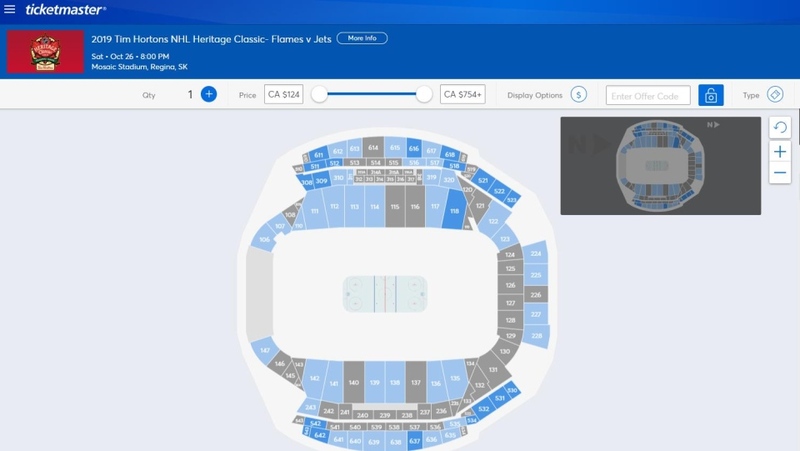 The presale ticket prices match up with the range projected by the Winnipeg Jets and Calgary Flames a few weeks ago. The ticket prices are also lower than the last Heritage Classic held in Winnipeg in 2016. The prices are set by the NHL. Right now it isn’t known how much the prices of the limited presale tickets will line up with the general sale tickets set to go on sale April 25.